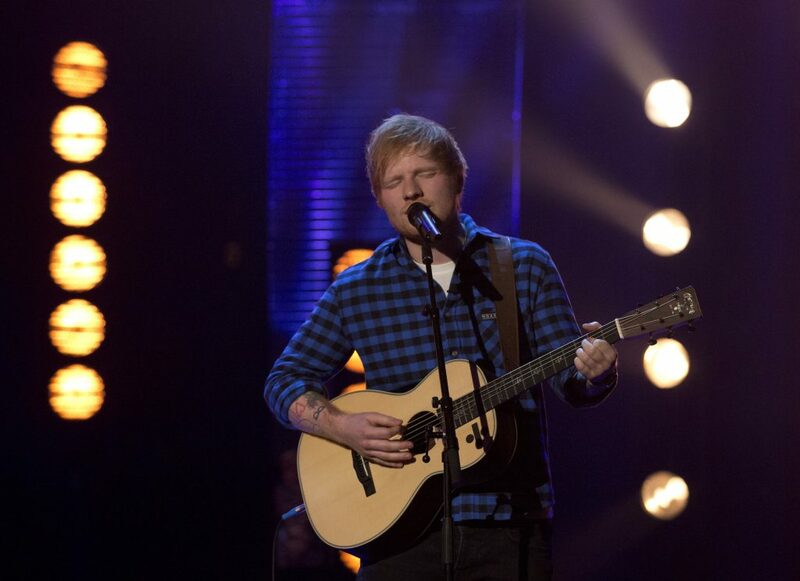 Tickets for Sheeran’s UK shows were on sale for up to $1200 minutes after they sold out. So what’s going on in the gig tickets market? We’ve all been there. Sat at the computer at 8:50 am, card out, fingers on the keys ready to refresh, refresh, refresh… until oh, 9:01 - sold out. And then, in minutes, there are tickets again. Appearing in huge numbers on other sites for huge, huge amounts. Literally, all the money. Us too, Moss. Us too. It’s just good old fashioned touting (or scalping, depends where you're from) – think men in anoraks shouting that they’ll buy or sell outside football matches and venues. Sheeran has hit back this week after his UK tour tickets were going for up to £1,000 ($1200) a pop (people really love Ed). His spokesperson called the practices “unethical” and warned fans not to buy tickets from resale sites. Tickets for Adele’s London show were going for a whopping $27,000 (they were originally on sale for $106). And even the Royal Albert Hall came under fire when leaflets were circulated to members – (basically season ticket holders) advising them on the best way to make loads of money out of selling their tickets when they don't need them. disgusting! If everyone refused to buy them then they wouldn't do it, it's the laws of supply and demand! The ticket resale market technically exists so that fans can innocently resell tickets for gigs they can no longer go to. The problem here is that it is being used by professionals to buy up huge numbers of tickets and sell them on. The Observer did an investigation into the issue and found that some touts had established businesses worth hundreds of thousands of pounds, based on reselling tickets. One tout they spoke to said he got round the rules to stop people buying loads of tickets by using lots of different identities and credit cards. While others are thought to be using technology – bots – to buy up tickets as soon as they go on sale. Basically, the problem is that while reselling is legal, for it to be happening on the scale it is someone must be bending the rules. The fightback didn’t actually start with Ed’s intervention. In fact, the UK Government published a report on ticket resales late last year. The report basically said that it was aware some touts were breaking the rules, but it was up to the ticket companies – the original face-value sellers – to tighten the rules to stop it happening. Some places have brought in laws to combat it. Queensland in Australia has a law that stops people reselling tickets for more than 10% more than their face value. So Adele’s $106 ticket wouldn’t have been able to be sold for more than $116.60, way short of what some were actually going for. There are calls for this 10% cap to be adopted around the world. on markets like this actually harms the economy. Sajid Javid, who used to be the culture secretary for the UK government once said that touts are filling a gap in the market, and said they were just "classic entrepreneurs". The economist who wrote the UK Government’s review said that he wouldn’t advise any more legislation as it would only push the market “underground or offshore” – which would basically make it even worse. He also said a price cap – like the 10% cap in Queensland – would be too hard to manage. A few “ethical” resale companies have popped up to try and combat the problem and make the most of the wave of public resentment against resale companies. Both Adele and Ed Sheeran have publicly partnered with one, which lets fans sell unwanted tickets, but never for any more than the original sale price. Ticket reselling is legal in most US states and most of the rest of the world. The main arguments against it are ethical. If prices for major shows like Ed's or Adele's continue to rise, soon pretty much all fans will be priced out, which is why Ed's so angry.